This is a payment module for the Total Web Solutions Payment Gateway which supports from v3x of OpenCart (we also have a module for earlier versions). 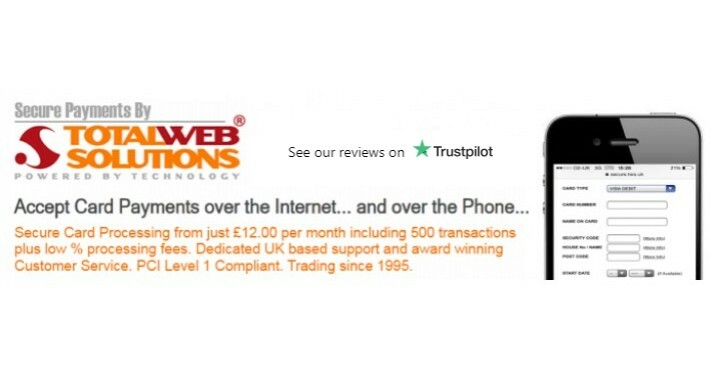 Total Web Solutions is one of the UK's lowest priced PCI Level 1 accredited Payment Service Providers. With charges starting from just £12.00 per month (including 500 transactions per month) and low % processing rates, for online Credit and Debit card processing in real-time. The module is completely free of charge to download but you will need to contact Total Web Solutions directly for a test account.